Today U.S. 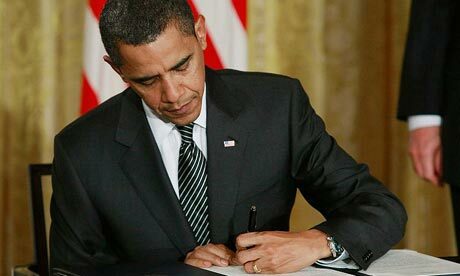 Senator Herb Kohl’s bill, the Prevent All Cigarette Trafficking (PACT) Act, was signed into law by President Barack Obama. The PACT Act cracks down on black market tobacco selling by closing loopholes in current tobacco trafficking laws, enhancing penalties for violations, and providing law enforcement with new tools to combat the innovative methods being used by cigarette traffickers to distribute their products. In 1998, the Bureau of Alcohol, Tobacco, Firearms and Explosives (BATFE) had six active tobacco smuggling investigations. Today there are more than 400 open cases. “The cost of tobacco smuggling to Americans is not merely financial. Internet tobacco sales have been used by terrorist and organized crime groups to raise millions of dollars to support their illicit activities. This new law will help us ensure that we no longer continue to enable terrorist organizations to exploit the weaknesses in our tobacco laws to their advantage, allow states lose tax revenue, and provide children with easy access to tobacco products sold over the Internet,” Kohl said. Hezbollah, al Qaeda and Hamas have all generated significant revenue from the sale of counterfeit cigarettes. Hezbollah is estimated to have earned $1.5 million between 1996 and 2000 through tobacco smuggling. That money is often raised right here in the United States, and then funneled back to these international terrorist groups. Kohl noted that cigarette trafficking, including the illegal sale of tobacco products over the Internet, costs states billions of dollars in lost tax revenue each year. It is estimated $5 billion of tax revenue is lost, at the federal and state level, each year. As lost tobacco tax revenue lines the pockets of criminals and terrorist groups, states are being forced to increase college tuition and restrict access to other programs because of these lost revenues. The Internet represents a new obstacle to enforcement. Illegal tobacco vendors around the world evade detection by conducting transactions over the Internet, and then shipping their illegal products around the country to consumers. Just a few years ago, there were less than 100 vendors selling cigarettes online. Today, approximately 500 vendors sell illegal tobacco products over the Internet. * Strengthen the reporting requirements for interstate cigarette sellers. * Increase the criminal penalty from a misdemeanor to a felony and create a substantial civil penalty for violations, including violations of the reporting requirements and state tobacco tax laws. * Grant federal and state law enforcement officials more powers to investigate and prosecute violators. The PACT Act (S. 1147) was passed under unanimous consent by the Senate on March 11, 2010. On March 17, the House of Representatives passed identical legislation (H.R. 1676) by an overwhelming majority, 387 to 25. Posted in: Cigarette Smuggling, Legislation.